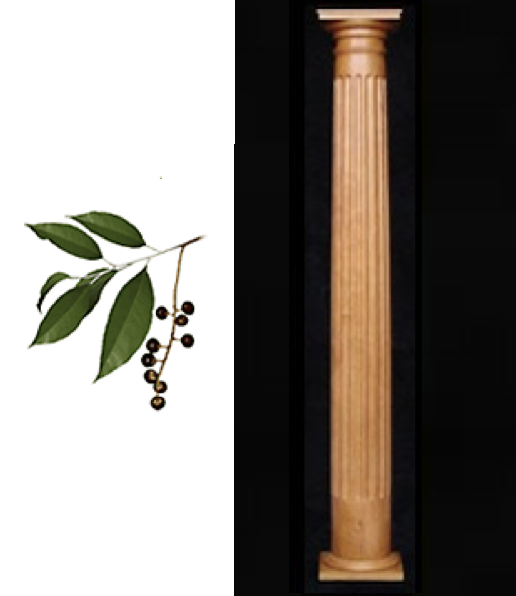 All our hardwood columns are made from select; hardwood staves (wood blanks). 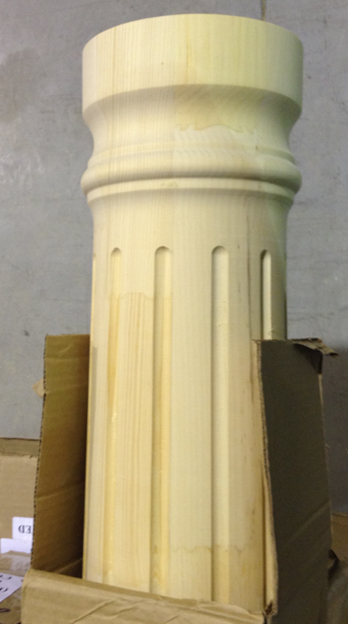 Although most of our paint-grade columns are quick ship items, hardwood columns require longer lead times. There are several reasons for this; Mainly because hardwood staves (blanks) begins to oxidize when exposed to light or oxygen, therefore we do not keep any stock or begin production until an order is placed. This is to insure that the hardwood columns you receive will accept stain evenly and look great when finished. Secondly, our hardwood columns are turned and sanded by hand. We only ship out after careful inspection. 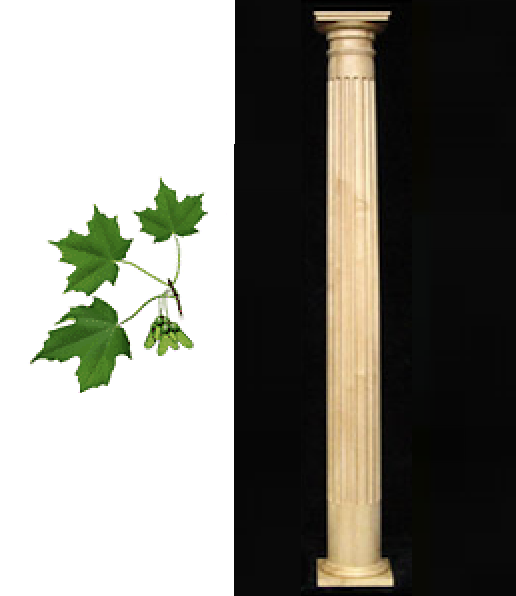 We offer both tapered and non-tapered hardwood columns (either at the same cost). 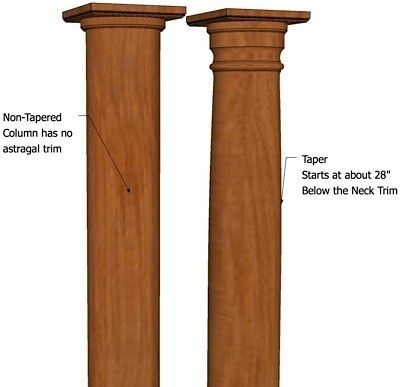 Non- tapered columns are just a straight tube with no neck mould. Click here for base and sizing. If you have any doubts about the way your hardwood columns will look stained, you can go to your nearest lumber yard and take home a small sample, and use your stain of choice on it. We are sure you will be pleasantly surprised with the outcome. If not, consult the person who will be staining it for you. For expert advice about staining wood, visit www.minwax.com. 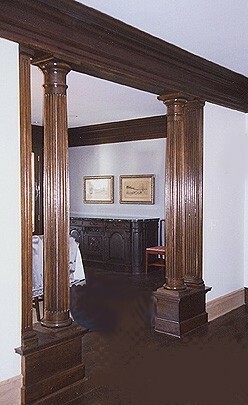 Hardwood Columns have the same load bearing capacity as do the paint grade variety.